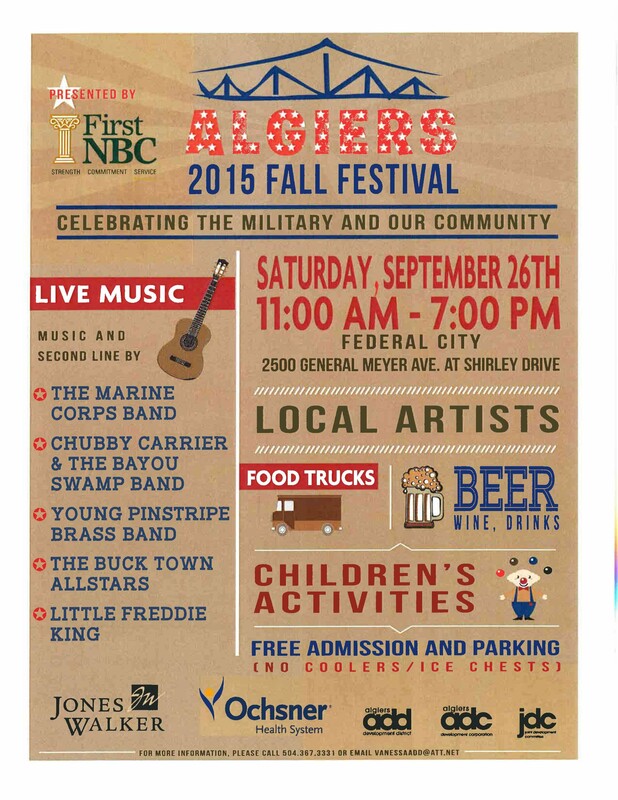 Bring your family, friends & neighbors to come enjoy a day of live music, food and fun at the first annual Algiers Fall Festival, an event celebrating the military and our community! Plus, the 2015 Algiers Fall Festival will be hosting Artists and Retail Outlets for the opportunity to offer their products to our Festival Attendees. If interested, please complete and submit the Artist Vendor Application with the requested documents and vendor payment by September 12, 2015.